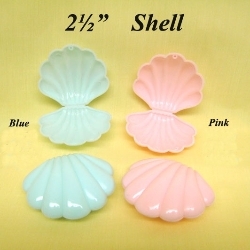 These cute shells open and shut.� They are available in pink, lt. blue and white. 2 1/2". Made of plastic and they actually open and shut.